Agents at Cobb Realty implement various advertising and marketing techniques to cause your home to sell. While we may not personally sell the listing, we will definitely cause your home to be sold. The role of advertising is not to sell the property; people sell property. The goal of advertising is to make the phone ring. But only a small percentage of those who call actually buy the specific house that was advertised. There is no “one-size fits all” when it comes to the marketing of properties. Price, size, location as well as the target market all drive the marketing approach that will be utilized. Your home will immediately be entered into the MLS so that other Realtors can be initiated to assist with the sale of your home. While the hope of any agent would be to sell each listing personally, the reality is that such is not the case the majority of the time. With the main goal being to ensure that your home is sold, we make sure that we utilize this venue as a means of getting information out about your home. Information in the MLS is also made available to the public via Realtor.com. Millions of potential homebuyers search through this website in order to look for available properties. Today, it is just not enough to enter a property into the MLS to effectively reach other real estate agents. An e-mail will be sent on a monthly basis marketing the listings, which will consist of a flyer about the property. As mentioned below, “Just Listed” postcards will also be sent to the real estate agents that consistently sale in the price range of your home. If determined to be necessary, we may hold an open house that will be exclusively for Realtors. This allows other Realtors to become familiar with your home so that in the event they have a client that is interested in a home in the price range of yours, then your home is the first one to come to mind. Cobb Realty also maintains a website: www.CobbRealtyHomes.com. Your home will also have its own website. The domain name will be your address. For example, www.123AnywhereStreet.com. Your web address will marketed via a rider on the yard sign and many other marketing materials. A virtual tour will be created for your home. The virtual tour will be uploaded to the MLS, our website, as well as the website for your home. Having a virtual tour of your home is like having a 24 hour open house available for buyers. You can “show” your house while you are asleep. Yard signs put everyone on notice that your home is available. Many times buyers may have been attracted to another listing or could just be riding through the neighborhood. The yard sign says “I Am Available”! From there, they can obtain one of the flyers available on-site and determine if the home may meet their needs. We personally design all of our own flyers and marketing materials. Your home will have a professional color flyer on display at all times in a brochure box outside of your home. How many homes have you seen with brochure box or info tubes and no brochures or flyers? Through our personal assistant we ensure that your brochure box will be full. Flyers enable buyers to pre-qualify themselves for the property so that we can ensure that calls we receive are from potential buyers that know this home may meet their needs. Your flyer will contain the price of your home, as many pictures that it can hold and as much information as possible. We would not want to lose a potential buyer by frustrating or irritating them by not making information readily available. 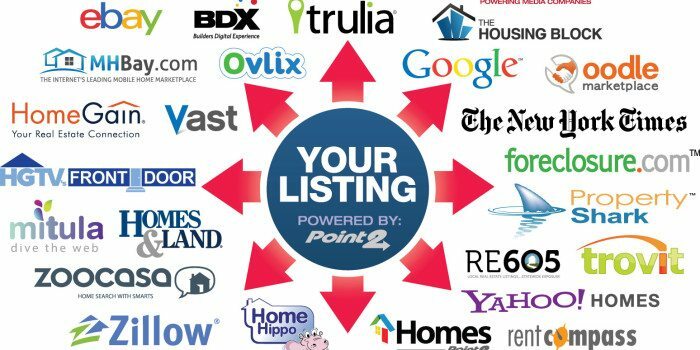 From time to time we may determine it to be necessary to market your home via the newspaper. We are experienced in writing catchy ads that get buyers attention! We also advertise regularly in the Homes and Land magazine. The timing of the listing of your home determines how quickly we will be able to get your home published. The great thing about the Homes and Land magazine is that not only does it market your home in print; your home is also published to their website. With your permission, we will mail “Just Listed” postcards or letters to your neighbors. This allows your neighbors to be on notice that you are attempting to sell your home. Many times your neighbors have a friend or family member that would love to move to their neighborhood. Once they know yours is available they now have information that they can pass along. We also mail the “Just Listed” postcards to Realtors that consistently sale homes in your neighborhood and/or in the price range that your home is in. The following are some of our “Grassroots” marketing concepts that are utilized to attract First Time Home Buyers: 1) Participate in workshops and seminars held at Churches, homebuyer fairs, other education seminars, 2) Disseminate listing information to partnering lenders, and 3) Disseminate listing information to partnering non-profits such as the Tallahassee Lender’s Consortium. We know how to market homes in a manner that yields results. Let our marketing knowledge and skills work for you TODAY!! The agents at Cobb Realty are skilled in listing/selling distressed, “as-is”, and short sale properties. Marketing techniques are applied according to the special needs of the institutional investors or owners. For example, in situations where owner-occupancy is a requirement, targeted marketing will be directed towards first time home buyers seeking local assistance programs and local CHDOs (community housing development organizations) who serve owner-occupant buyers.